I made this card to enter into the Cricut Cardz Challenge #66. They are looking for three elements: 1) a thank you card, 2) a cricut cut border, and 3) use the colors yellow, blue, and white. Very nice card, love the spring colors! Thanks for stopping by my blog this weekend during the hop and leaving such a sweet comment. Happy spring!! This is such a pretty card. Thanks so much for joining us at Cricut Cardz. So pretty! Love the border and great colors! Beautiful card! Love the colors! 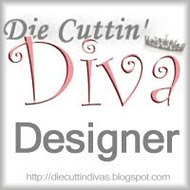 Thank you for visiting my blog and becoming a follower of cricutmania.blogspot.com! Can't wait to see what else you have in store for us! TFS! Nicley done. Those flowers are a perfect addition. Thank you for thinking of my sister. Love the colors and the design of this card. Very pretty.